Benefits: Recharge your system with a blend of herbs that will keep you feeling well balanced. 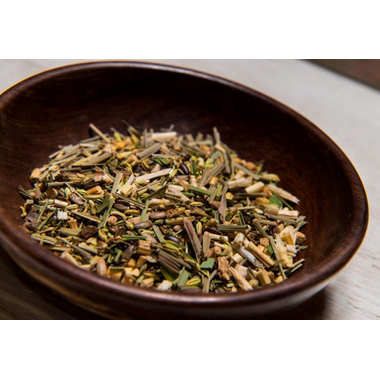 Ingredients: Organic milk thistle, organic peppermint, organic couch grass root, organic fennel seed, organic dandelion root, organic burdock root, organic lemon grass, lemon grass oil. I happen to love the taste of this tea, and the smell of it already makes me feel better. I specifically wanted to try this to deal with indigestion, and although I don't notice a distinct difference, the process of making this tea, enjoying the smell, and sitting down with a cup of it relaxes me - which does make a difference. I bought this tea for its potential benefits, not for the taste. I've tried a few teas with similar ingredients, and so far this one's flavor offends me the least. I'm just not a fan of the back half of the bag being clear because the tea won't last as long being exposed to light. I enjoy the taste of it. 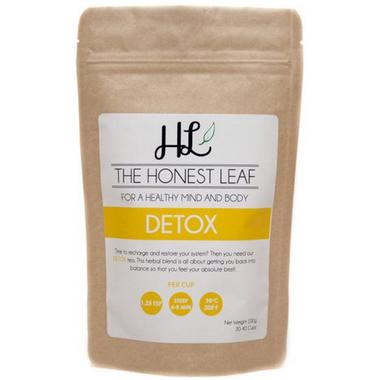 Can't say there's a notifcable difference between this and other "detox" teas. Would repurchase just for its aroma. Great taste, and good to know it is good for me. Should I just say "delicious"?! A wonderful balance of the herbs that do goodness to the liver.